Will the real Mysterio please stand up? 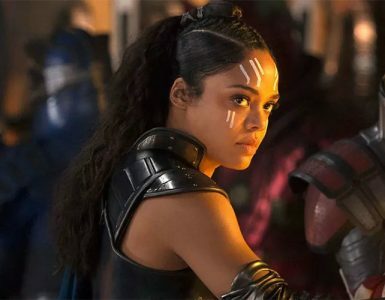 The trailer for the upcoming instalment of Spider-Man’s MCU story, Spider-Man: Far From Home, has brought along a couple of interesting surprises – from a new location, new problems, new suits, to a new… villain? That’s right, Jake Gyllenhaal (Brokeback Mountain, Nightcrawler, Prince of Persia) makes his debut in the Marvel Cinematic Universe as the villain very (in)famously known in the comics as Mysterio. But is he a villain in this one, though? 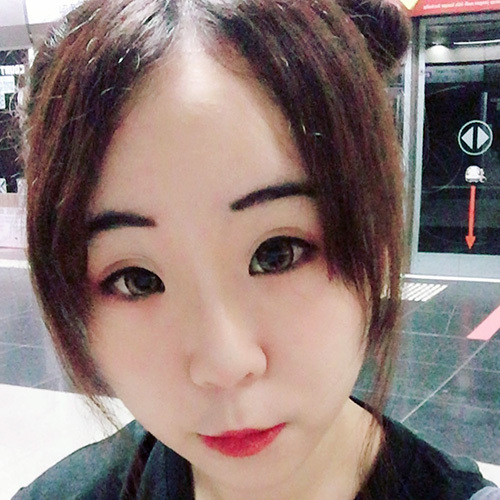 Let’s have a closer look. 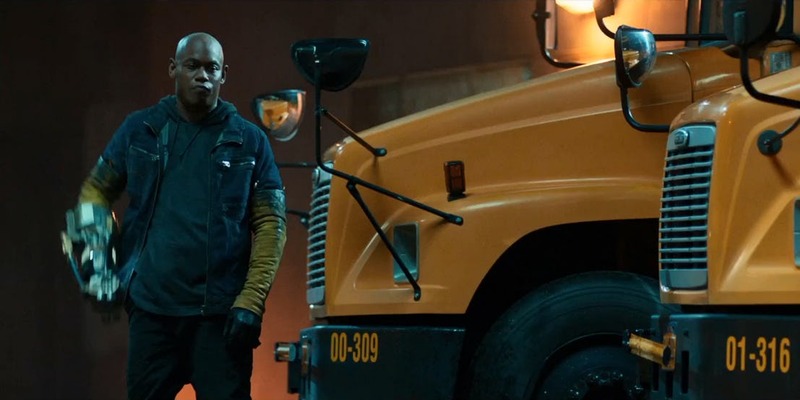 In the trailer, he’s seen appearing in front of Peter Parker/Spider-Man (Tom Holland) out of thin air, gravely saying “you don’t want any part in this”, before proceeding to blast what looks like the Elementals (another group of Spider-Man baddies) with green energy. 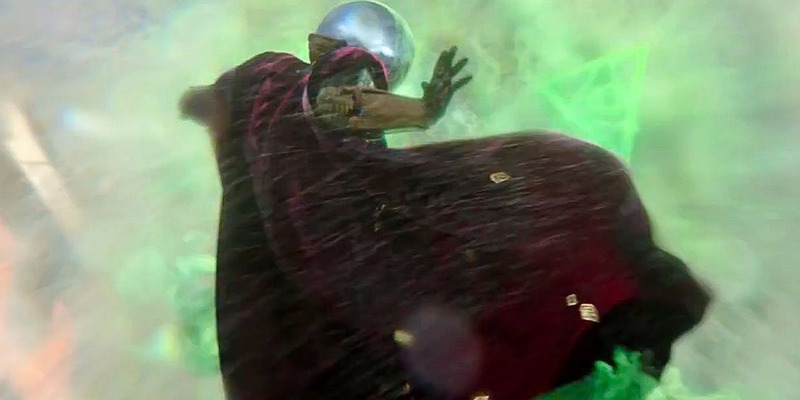 A loser look at the trailer reveals the appearance of all four Elementals, which means Mysterio makes five… which is kind of an overkill, unless it’s an attempt at misdirection, and Mysterio isn’t one. In the same trailer, one of the characters seems to hold him in high regard, describing Mysterio as a combination of Thor and Iron Man, indicating that he might have attained some form of hero status. However, as we comic book fans might’ve pointed out, that might not exactly be the case for one so skilled in the art of illusions. 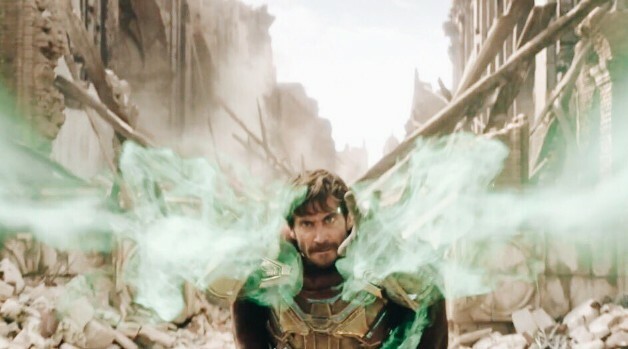 The first person to don the alias of Mysterio (and the most likely of the bunch Gyllenhaal might be portraying on screen) was Quentin Beck, an extremely talented special effects artist. 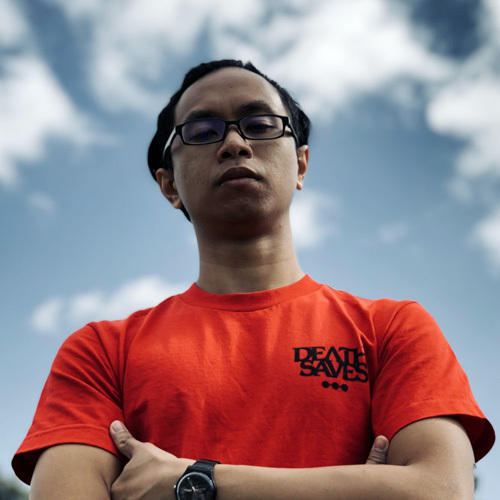 Previously working as a stuntman in California, he found his calling in doing VFX and proceeded to make a name for himself as such. However, when a desire to change to an acting career failed, Beck rediscovered his purpose, and that was to devote his life to taking down superheroes with his illusory abilities, namely Spider-Man. 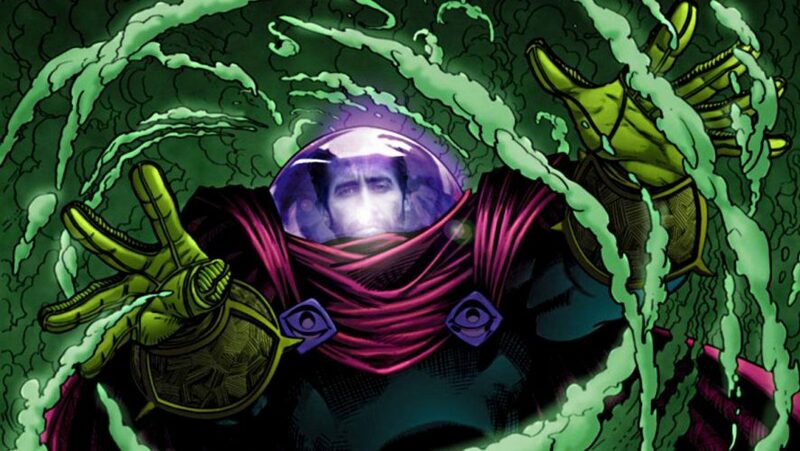 While it’s already been confirmed that Gyllenhaal will be playing as Quentin Beck, it’s still interesting to know about the other folks who have donned the Mysterio persona, should they somehow make a cameo appearance in Far From Home. The next person to adopt the mantle of Mysterio was Beck’s friend, Daniel Berkhart. 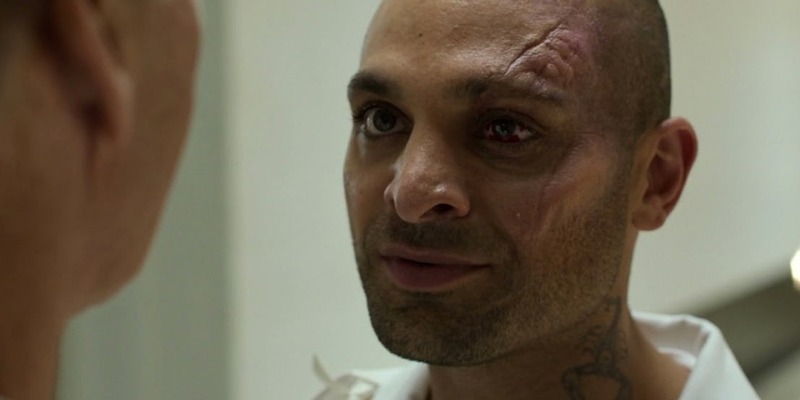 While possessing nearly identical abilities to his predecessor, Berkhart was ultimately first and foremost the villain Jack O’ Lantern, and only took on the Mysterio persona after Beck was killed by Daredevil and sent to Hell. The third – and most unlikely to be played by Gyllenhaal – person to become Mysterio was Francis Klum. Unlike the previous two, who used conventional weaponry and tech to fuel their illusory shenanigans, Klum was born a mutant, with the inherent ability to teleport, project his subconscious onto others, and perform telekinesis. 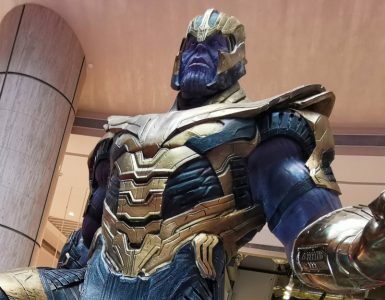 Certainly, this move would make Klum an interesting choice for Gyllenhaal to portray, but, alas, the mutant status is a tricky one in relation to Marvel Studios’ longtime IP dispute with Fox. No matter, one would say, because Beck’s tragic origin would serve as great drama for Gyllenhaal to channel, given his acting credentials, and a great foil to the still-young Peter Parker in the MCU. As his name foretells, Quentin Beck/Mysterio is a master of illusions. 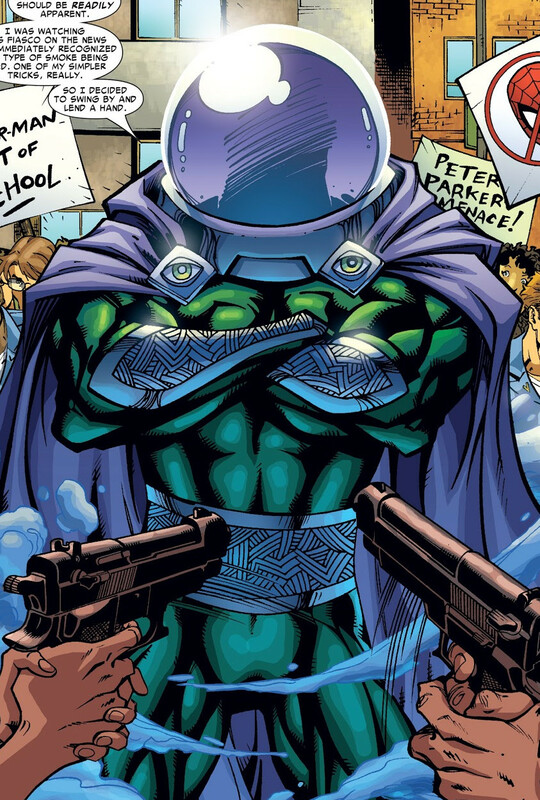 Don’t be fooled by the silly-looking fishbowl helmet – Mysterio is a force to be reckoned with on his day. Beck is not only gifted with special effects, he has lots of know-how with robotics, chemistry and even hypnotism to supplement his love for the craft of illusions. As such, he has outfitted his costume with a wide array of gadgets and devices that aid him in making his foes run circles. So far in the trailer, we have seen Mysterio shoot green blasts of energy that look like Doctor Strange’s spellcasting, complete with the symbols and all. However, those who know Mysterio all too well might see this as a form of light manipulation that Beck has outfitted his gauntlets with. Next, he is also seen fighting in the air – a result of his knowledge of mechanical engineering similar to that of Tony Stark’s/Iron Man’s. Emit gas – Okay, we might’ve seen this when he made his smoky appearance. This gas is synonymous with Mysterio, not just visually, but also for practical reasons because it cloaks his movements from Spider-Man’s Spidey Sense, making him more unpredictable. With his knowledge of chemistry and hypnosis, Mysterio can also outfit the gas with hallucinogens that will cause even the strongest-willed to go mad with hallucinations. Project illusions – This is another staple of Mysterio’s toolkit. Using a combination of his one-way plexiglass helmet and various elements in the suit, he can create a 3D illusion that is very real to the touch, smell, as well as sight. 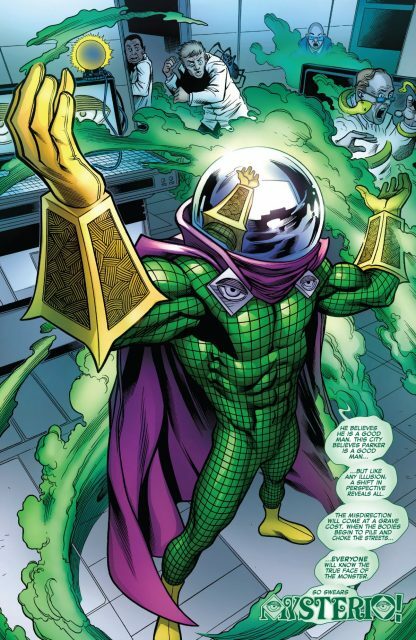 In the comics, Mysterio has been known to create illusions the size of entire towns, so it might not be wrong for one to assume that he fabricated the Elementals out of his own trickery. Manipulative skills – Quentin Beck may be no mutant, but he is certainly a man who has a way with words. Normally used in conjunction with his hallucinogens and projections, Mysterio knows how to get under someone’s skin and really ruffle their feathers. Heck, he is formidable even without his suit. 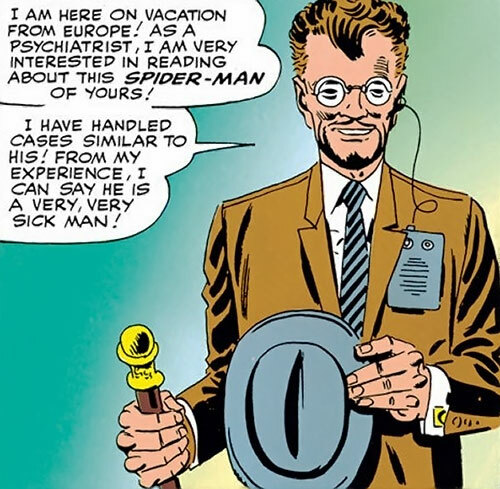 At one point in the comics, he was able to convince Peter Parker that he was going mad with a split-personality disorder just by posing as a doctor. No suit required, just a really silver tongue. To be a longstanding part of Spidey’s Rogues Gallery, one surely has to have connections, right? Most notably, Mysterio is notorious for having been part of the Sinister Six, a villainous super-group that has long been bent on the destruction of the world and its heroes, most notably Spidey. Like many super-groups (heroes and villains alike), the Sinister Six has undergone various incarnations throughout the years, but it seems that the one the MCU will be emulating looks to be of a similar lineup to the one seen in the 1995 animated series, then dubbed “the Insidious Six”. 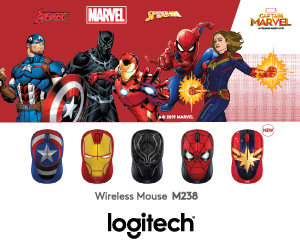 Clockwise from top left: Chameleon, Mysterio, Rhino, Shocker, Scorpion, Doctor Octopus. 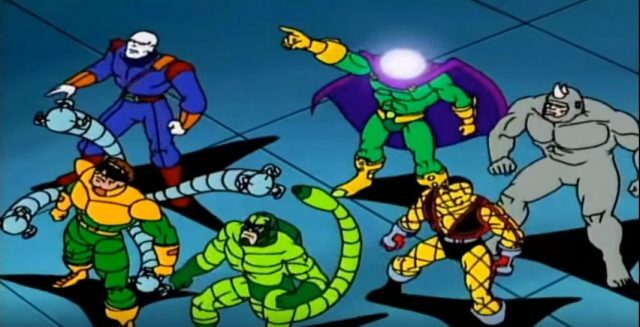 This group, in particular, featured Mysterio (killed, interestingly), Vulture (who replaced Mysterio), Scorpion, Shocker, Rhino, Chameleon, and Doctor Octopus. These are all iconic villains in their own way, and will certainly a force to be reckoned with should they all face Tom Holland’s Spider-Man at the same time. From Spider-Man: Homecoming, you might’ve already seen three of them at some point in the film. 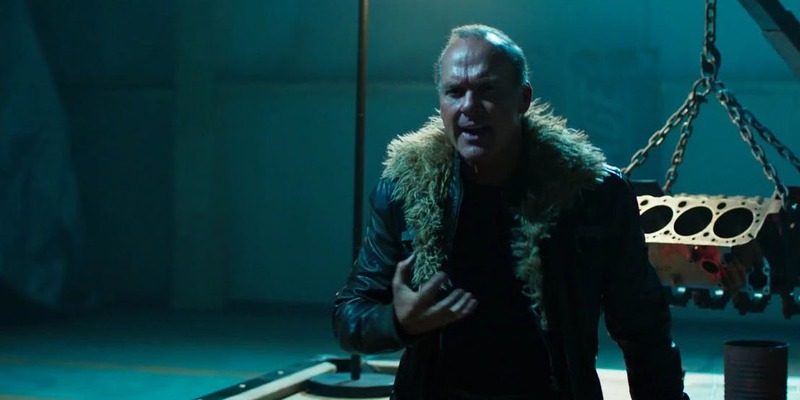 The most prominent of the three will be Vulture, played by Michael Keaton (Batman, Birdman), followed by Shocker, portrayed by Bokeem Woodbine (Fargo, Riddick), and Mac Gargan a.k.a. Scorpion, played by starlet Michael Mando (Far Cry 3, Better Call Saul). Not a bad lineup, all things considered. 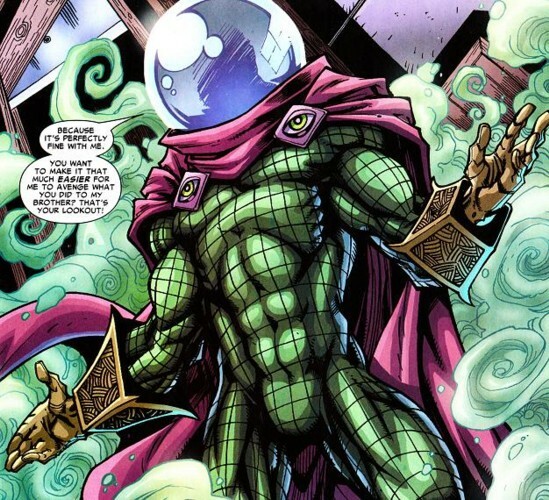 It would be really interesting if this version of Mysterio turned out to be actually a good guy, then helps Spidey fend off the Sinister Six. But if we were to be predictable and give in to our fantasies of bad guy Mysterio coming to life on the silver screen, then it would be no brainer that the master of illusions would form a group with the above three. For now, with Jake Gyllenhaal’s appearance as Mysterio causing quite the stir on the internet, let’s take another moment to appreciate him in all his costumed glory. And then we’ll find out whether or not Spidey shakes his hand or gets to punch him in the face. Spider-Man: Far From Home crawls to the cinemas on July 5, 2019. Kevin Smith Wants A Batman Beyond Movie, Starring Michael Keaton. So Do We. Make sure to go for the head. 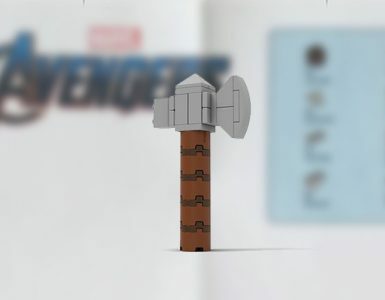 Thor is not quite done yet!